Thanksgiving is upon us and every day I’m reminded I have so much for which to be thankful! It seems like there’s such a rush to go from Halloween to Christmas and it’s sad to me that Thanksgiving seems to be lost in the shuffle. Today as I gather with my family, I’m thankful for so many things God has blessed me with: salvation, my wonderful family, my faithful husband and all our men and women serving overseas, my home/career/dogs, wonderful food and our farmers who grow it, so many things! May you have a blessed Thanksgiving reflecting on the blessings in your life as well! Sunday night was our 4-H Achievement program. Watching the youth receive their awards, I was thankful for the parents, grandparents, leaders, and volunteers who helped those youth achieve success in their projects. I’m thankful to work in a county with such wonderful people! Every organization or board our office works with understands that the 4-H program and fair are about the youth-developing life skills and successful young people for the future. I’m so thankful for these relationships and the fun we all have at 4-H activities and the fair! I’m also thankful for all the sponsors of our 4-H program and the youth and parents appreciate you as well! 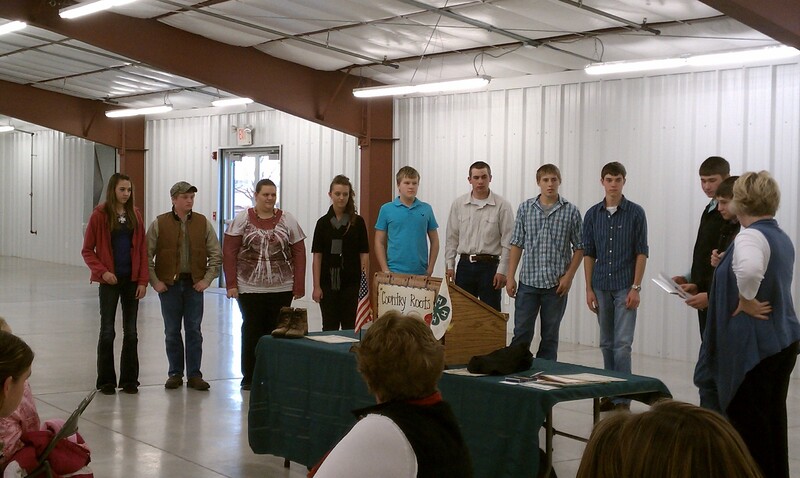 It was a great night with a great turnout and a nice conclusion to the 2011 4-H year. Posted on November 24, 2011, in 4-H, Discussion Topics, Military, Reflections and tagged 4-H, Agriculture, family, food, foodthanks, Reflections, Thanksgiving. Bookmark the permalink. Leave a comment.